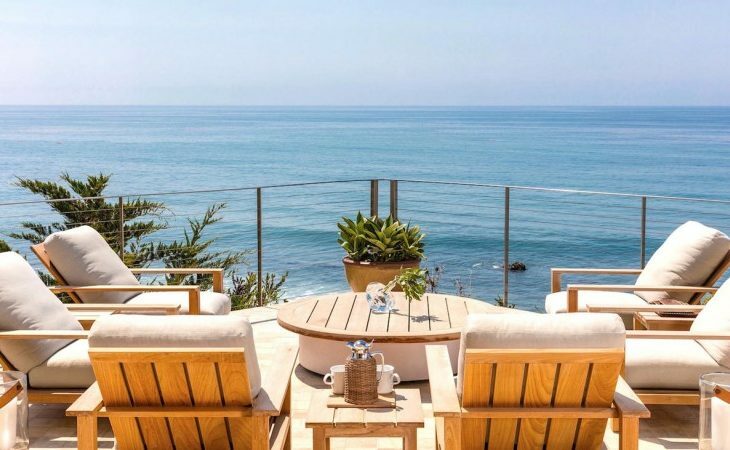 Indefatigable house renovators and flippers Cindy Crawford and Rande Gerber finally saw their big-ticket Malibu property into a definitive sale this week when they accepted an offer of $45 million for the conspicuously revised mid-century beach house. Crawford and Gerber picked up the house along with a buffer lot about nine years ago, spending about $51 million. They listed the property initially for $60 million in the fall of 2016; the house subsequently saw a reduction that brought the price tag down to $50 million, but that price stood for the additional eight months it took to find a buyer. The original Spanish-style beach house dates to the end of the Second World War. The roof tiles and some of the timber appear to be original, but interior revisions have been considerable, transforming the slightly more than 5,250 square-foot residence into a bright and quite modern living space. Sculpted ceiling lines, tile and hardwood floors, and an overall feeling of warmth and beach-cottage ease suffuse the home. It contains four bedroom and six baths, and has as its heart a marvelous spiral staircase with simple wrought iron balustrade. The house contains four bedrooms and six baths in all. Most appealingly, perhaps, is the home’s location. Over three acres of land surround it, and that’s a sizeable lot amid some of the most valuable real-estate in the world, and its bluff location offers ocean views from most rooms in the house. 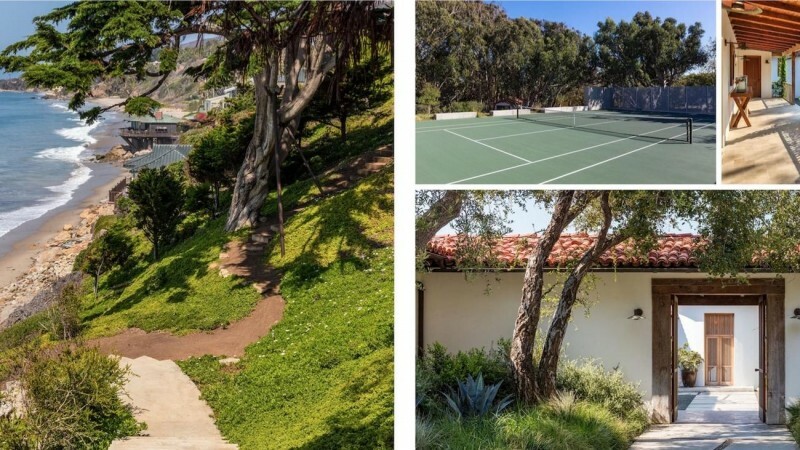 Simple coastal landscaping, a tennis court, and a private path leading down to the beach say a great deal about the lifestyle offered by this lovely property, and the price attached to it. Cindy Crawford is one of the ‘original five’ supermodels who came out of the 1980’s. Rande Gerber is also a former model, and is now in the entertainment business.